First of all I would like to take a moment to thank everyone for reading the blog in record numbers last week. If it was your first visit, I hope you enjoy my weekly blog about wine and food. To my dear friends who read it each week, thank you for your support on my journey with wine. I had a little dinner party Wednesday night, and a few friends and I got together to try some new wines and enjoy some good food. We started the evening with a refreshing Pinot Gris from New Zealand. The Marlborough region of New Zealand is famous for Sauvignon Blanc, and this was my first time trying a Pinot Gris from the region. Wow, it didn’t disappoint. The 2012 Single Estate Pinot Gris, which is the one we shared, is only the second crop of Pinot Gris from the Ara Vineyard. 2011 was the very first release. Very light and clear in the glass with aromas of pear and nectarine. This vibrant crisp white wine has citrus flavors in the mouth and is very expressive. Recommended pairings include your favorite summer salad, asparagus, or all by itself on the deck. It is $21.99 here in Nova Scotia and very much worth it. 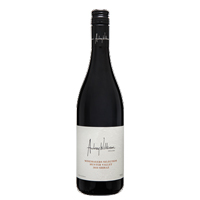 The next wine we cracked open was the Audrey Wilkinson Winemaker’s Selection 2010 Shiraz from Hunter Valley. Big bold wine. Can easily go with steak, BBQ ribs and other heavy grilled foods. A dark red color in the glass with purple hues. Big rich dark fruits on the nose with a hint of chocolate and a floral note. Those dark red fruits are on the palate, aged in French oak, it finishes very smooth. The winemaker is Jeff Byrne, originally from right here in Nova Scotia. If you are a regular reader of the blog I had written about him before. He went to Australia to surf, fell in love, and moved to Australia. Started working in a vineyard, and then took the necessary education to start winemaking and the rest is history. Jeff makes great wines. One of my guests that evening was just getting into wine. And although the Pinot Gris was her favorite, we did crack open to try a Beaujolais. This was the one we tried, the 2011 Beaujolais Superieur. Now a Beaujolais wine is very light and fruity. It’s a thin-skinned grape and has very low tannins. Any Beaujolais is the wine I generally recommend when someone wants to make the transition between white and red. Light purple in color, fruity with hints of cherries. This is a wine you would chilled, which again helps people making that transition from white to red. Beaujolais wines tend not to be expensive, and this one came it at about $15. 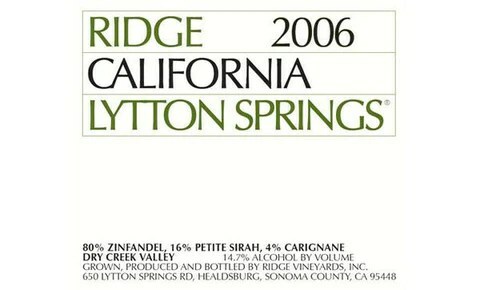 The last one we opened was a Lytton Springs Zinfandel. Made up of mostly Zinfandel , it also has Petite Sirah and Carignan. Because I served my Maple Dijon Chicken (check out last week’s blog for the recipe) and honey roasted potatoes with a couple of different cold salads, I needed a very versatile wine. One very food friendly wine, and this is the one I chose. The vines are 115 years old and it produces a spectacularly smooth wine. If you were to check out some of the ratings on this wine you will see 93’s and 95’s. Aged 14 months in the barrel, the aromas of black cherry, mint, and vanilla make for a beautiful wine. 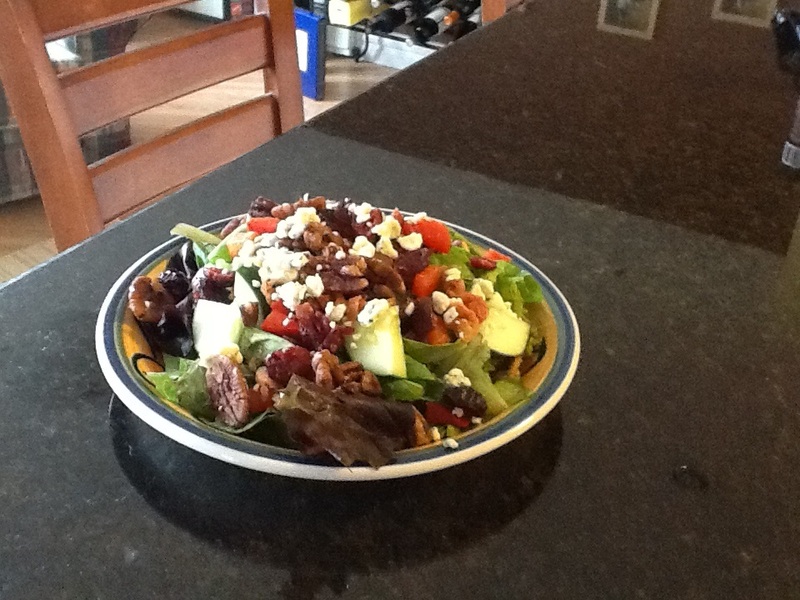 I have been asked to share my favorite salad, so here is the recipe. The secret is in the homemade salad dressing, it’s my favorite. Enjoy the Pinot Gris, or a nice crisp Sauvignon Blanc with this salad. Real Bacon made into bacon bits. Combine all the ingredients, mix well, and drizzle the dressing over the salad. Enjoy with your favorite wine. Till next week, thanks for reading and In Vino Veritas (In wine there is truth) . This entry was posted on July 27, 2013 at 1:45 pm and is filed under Wine, Wine & Food. You can follow any responses to this entry through the RSS 2.0 feed. You can leave a response, or trackback from your own site.